Accu-Pressure Flexible Braided Wire Valve Extension, 13.5 inch, Accu-Pressure Safety Products, Inc.
- Reduced wear on tires. Accu-Pressure Flexible Braided valve extensions screw onto the inner valve stem and comes out through the outside wheel. 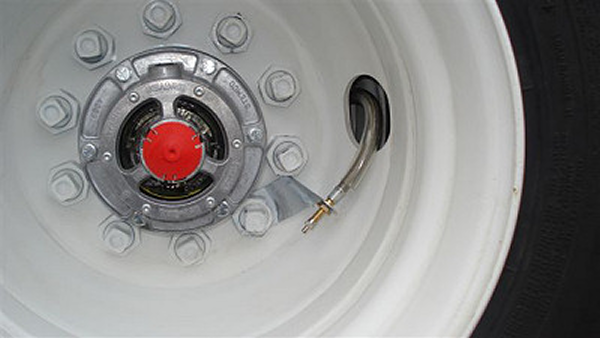 The bracket fastens under the lug nut for a secure connection that can't come loose!